They say Triathlon is addictive. Maybe they are right. 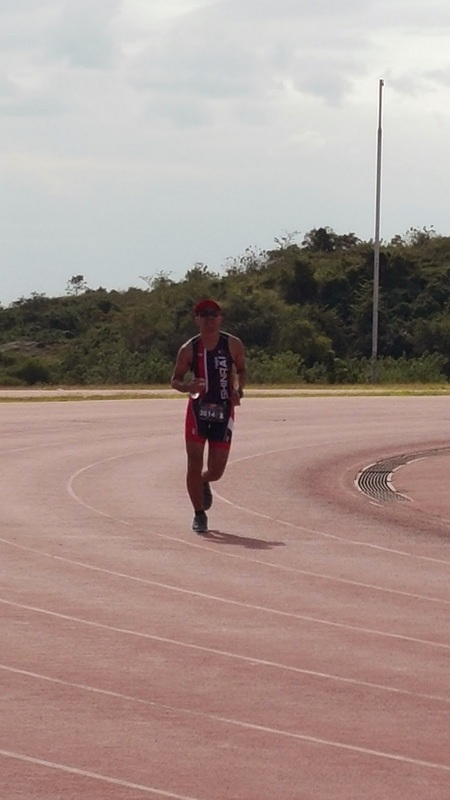 I just had my first triathlon and I'm craving for more! 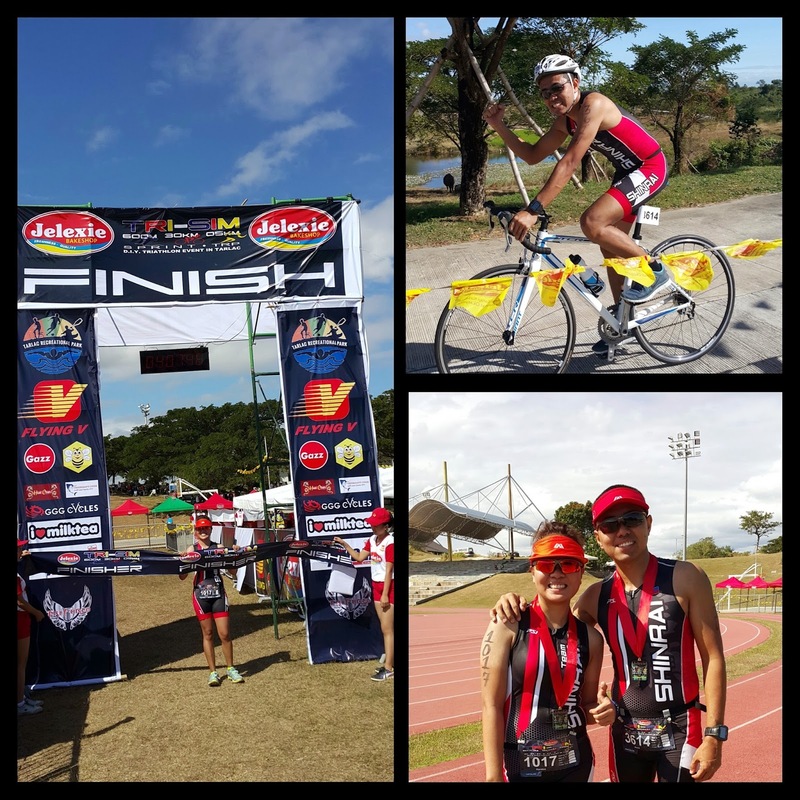 So, I joined the Jelexie Tri-Sim in Tarlac with my sister Haidee joining too for her first triathlon! Together with my wife, we traveled to Tarlac on Saturday afternoon, one day before the event. After attending the pre-event briefing, we checked-in in one of the hotels in the city. 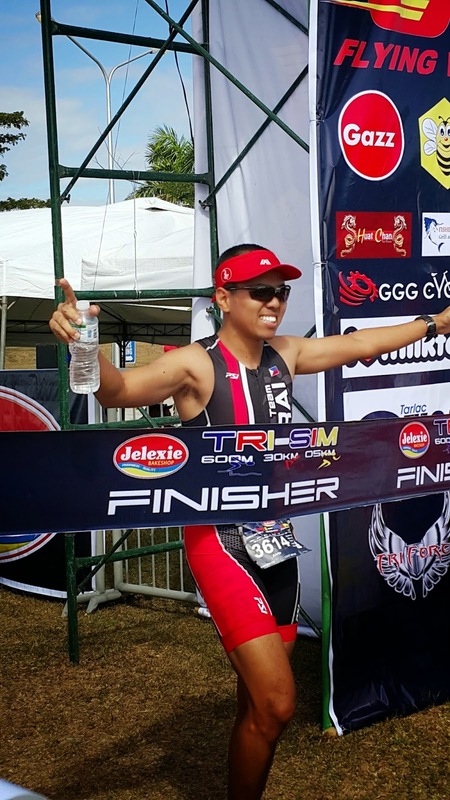 The swim leg was held at the Olympic-size pool of the Tarlac Recreational Park which is about 15-minute drive from the city proper. Few meters from the pool was the transition (T1) area for the bike leg. The bike course would lead you to nearby barrios outside TRP with one stretch of a very steep and punishing climb for newbies like me. Then back to TRP for the transition (T2) for the run leg. The run course was within the vicinity of the park with one loop at the track oval heading to the finish line. Done with my second 800m swim, 30km bike and 5K run. It was indeed another great experience and for me, it was more challenging than my first one because of the punishing bike course. Unfortunately, I wasn't able to register my official time at the finish line. Thank you to all the organizers, volunteers and sponsors. More power! Thank you to my wife for the support and love. Thank you Lord for the strength, safety and the chance to celebrate once again this blessing.